Complete guide to the 4 best rooftop bars in Porto in 2019. 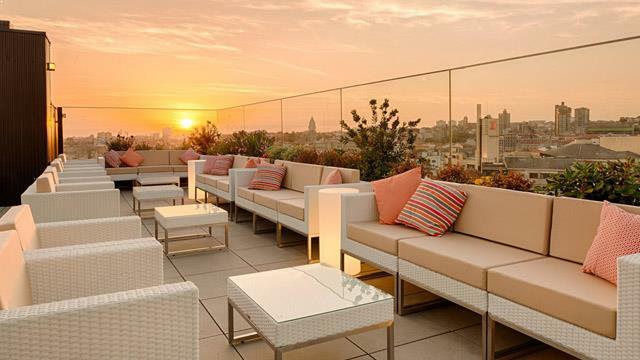 Here you'll find the best Porto rooftop bars with all info you need about each rooftop. Opening hours, dress code, pictures, maps and much more. A real gem along the Atlantic coast line in Portugal. 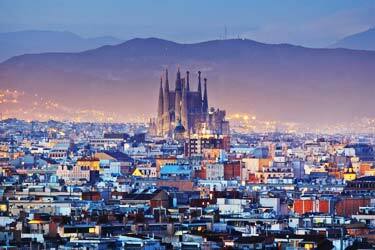 The views from the roof terraces here are quite magical. 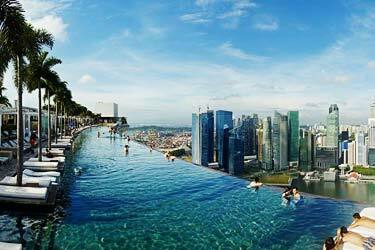 Some with cool skyline views and other with a beautiful ocean view. And some rooftops have the luxury of both. 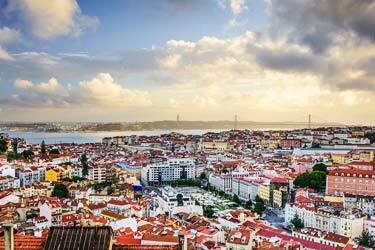 So, which is the best rooftop bar in Porto? 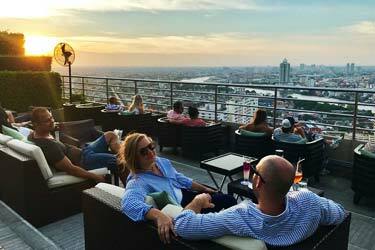 Just scroll down and find the Porto rooftop bar best suited for you. Or use the Porto rooftop map in the bottom right corner. Perched on top of Espaço Porto Cruz, a space developed to celebrate the culture of port wine. Located just of Luís I Bridge, on the Vila Nova de Gaia side, the space offers wine shop, tasting rooms, restaurant and a lovely cocktail bar and rooftop terrace. Modern in decor, with comfy lounge sofas and a fantastic 360º view over the Douro River and the Porto and Gaia riverfronts, the rooftop bar offers innovative ways to taste the Port wine. All in a great and vibrant lounge atmosphere. 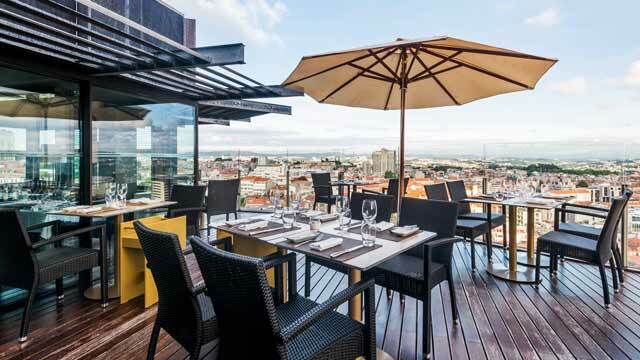 150 meters up at the Hotel Dom Henrique Downtown, this Porto rooftop bar and restaurant comes with a completely fabulous view over the city. Modern, stylish and all-year indoor space, the best time is of course when the weather is nice and the outdoor terrace is open. Or terraces, as there is both a restaurant-level and a bar-level terrace. At the 17º Restaurante you can enjoy authentic and masterful dishes from the Portuguese and Mediterranean cuisine, while the 17º Rooftop Bar offers a large selection of crafted cocktails and wines. Located on top of Hotel Premium Porto Downtown, from this stunning roof terrace you can see virtually all the famous monuments of Porto. Modern and stylishly decorated with comfortable sofas and sun loungers, PortoBello is both a rooftop lounge and a Portuguese restaurant serving lunch and dinner, with good and qualitative Portuguese cuisine and a very wide range of different wines. 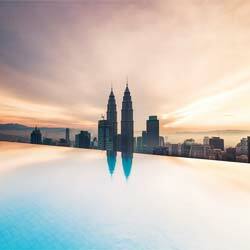 Very calm and harmonious in atmosphere, and a great spot for a relaxing cocktail around sunset. A stylish cocktail bar and restaurant located on the rooftop of the Porto Palacio Congress Hotel & Spa. Here you get a fantastic view over Porto, the surroundings and the Douro River. The cool indoor restaurant and bar is complemented with a wooden decked outdoor terrace with comfy lounge sofas. Choose from a wide selection of Gin-based cocktails, other classics, port wine, afternoon tea and coffee or traditional Portuguese food both as buffet lunch, daily dinner and Sunday brunch. Discover the biggest collection of Porto activities, guided tours and skip-the-line tickets. Anything you want you'll find right here. Which are the best rooftops in Porto? This complete guide will help you find the best rooftop bars in Porto. When it comes to rooftop bars in Porto, there are a lot of good ones. 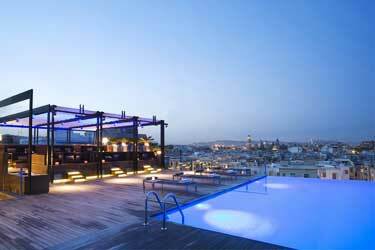 Most of the terrace bars here are located at hotels - usually the more luxurious hotels. From the rooftops in the city, you often get a magical view of the Porto skyline, the sea and the river Douros. Regarding special drinks that is known in Porto, the Port wine stands out as the special one at most the bars. But of course, the most classic cocktails are also available. 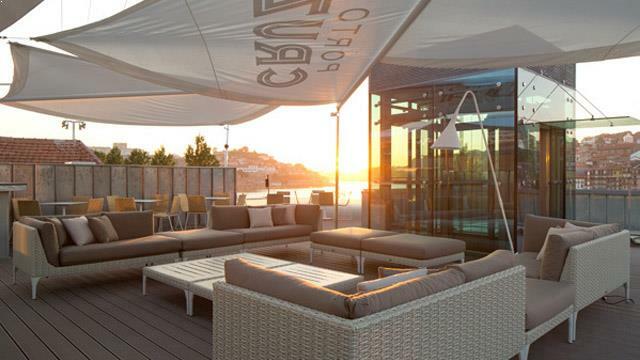 Most of the rooftop bars in Porto are equipped with comfortable lounge furnitures and smaller restaurants. The heights of the terraces variable from anywhere from the 2nd to 15th floor, resulting in the outlook and the views you get from the rooftops can vary a lot. So carefully check out what suits you best. 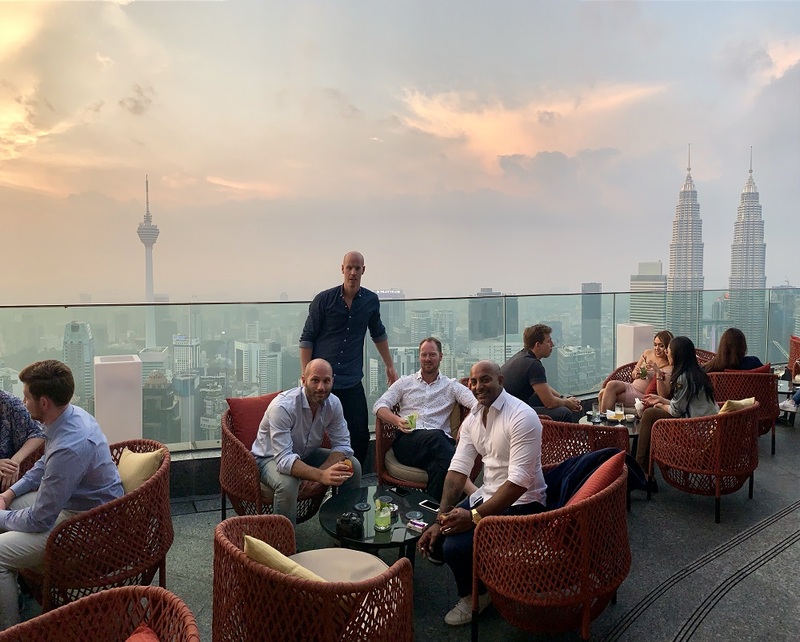 Is it good food, delicious drinks, magnificent views or party atmosphere? 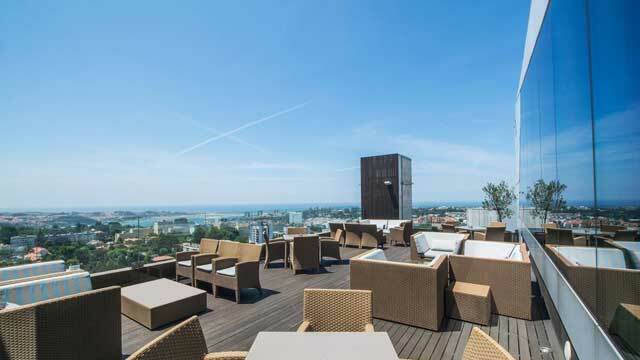 All information about Porto’s rooftop bars can be found under each rooftopt. Here we list opening hours, dress code, price range, food, pictures, information, social media links, map, website, hotel reservation and comments from TripAdvisor. Porto is Portugal's second largest city with 1.4 million inhabitants in the metropolitan area. The city is located in the north of Portugal, just where the great river Douros flows into the Atlantic Ocean. Porto has long been an important port city with lots of exports and imports. 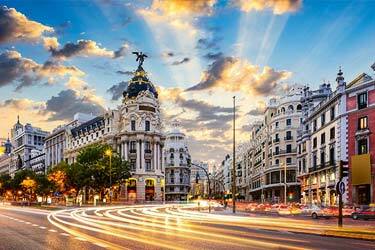 Until 2001, the city was one of Europe's cultural capitals. Porto has primarily become known through the production of the famous wine - Port Wine. Port wine is exported to dozens of countries worldwide. 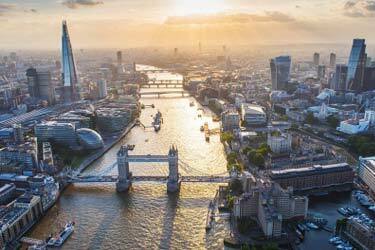 Other stuff that the city is famous for is their football team FC Porto, which won the Champions League in 2004 and often boasts itself as the Portuguese champions.